You Can Now Use Bitcoin To Buy Fried Chicken - Dreams Do Come True! Some people are spending Bitcoin to buy fried chicken at KFC now for a limited time only. Would you part with your Bitcoin for a "Bitcoin Bucket"? If you love fried chicken and are willing to part with some of your Bitcoin, you can now use your Bitcoin to buy fried chicken at KFC in Canada! The fried chicken chain will be accepting the cryptocurrency for a limited time only. The cryptocurrency will only be accepted for a cryptocurrency-themed bucket of chicken. Aptly named "The Bitcoin Bucket", this product is only available online, with a live-tracker of its standing price. After conversion, it works out to be about CAD$20 (but with the volatility of the Bitcoin, this stands to fluctuate too). “We’re upgrading the $20 Bucket to the 0.0041 Bitcoin Bucket, or whatever its ever-fluctuating value happens to be at the moment,” the brand reveals in an email. Since you can’t just walk into any KFC in Canada and attempt to check out with Bitcoin, the only way to get “The Bitcoin Bucket” is through their online ordering system. You will have to place your order and make payment via BitPay. “The Bitcoin Bucket” will then be delivered directly to an address of your choosing. Do note, there is also a CAD$5 delivery fee imposed. Canadians are welcome to visit the brand’s online store, ColonelAndCo.ca, to get their bucket of chicken tenders in exchange for the digital currency. The product will then be delivered between Jan. 12 and Jan. 19. While the tie-in with cryptocurrencies have seen other publicly traded firms stock prices soar, the price on KFC’s holding company, Yum! Brands, seems unaffected. Where else can you spend Bitcoin? It would be cool to see something like this happen in Singapore, too, huh? 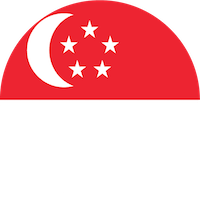 If you ARE looking for a place to spend your digital currency in Singapore, you can check out Artistry. Artistry is a hybrid gallery and café serving up locally roasted Liberty Coffee. You can also visit Bartini, Club Street’s only bar dedicated to cocktails and mixology and spend your cryptocurrency there. Would you spend your cryptocurrency or do you prefer to trade? Let us know in the comments. Read more articles on cryptocurrency. What Is Ethereum? Why Are There So Many Damn Types Of "Bitcoins"